George McGovern, who tapped the late Sargent Shriver as his 1972 running mate, remembers the optimism he brought to every challenge—be it creating the Special Olympics or founding the Peace Corps. George McGovern, who tapped the late Sargent Shriver as his 1972 running mate, remembers the optimism he brought to every challenge—be it creating the Special Olympics or founding the Peace Corps. Plus, Adam Clymer on how Sargent Shriver shaped America and John Coyne on how Shriver built the Peace Corps. On the New Frontier, where I first knew him, Sargent Shriver was the pied piper of a new generation of young Americans who answered the call to serve around the world. His title was Peace Corps director, but in reality he was the first and foremost volunteer, a tireless, unforgettable presence from the capital cities to the farthest villages of the world. I know because as the Food for Peace director, wherever I went, wherever there was suffering and a glimmer of hope, he and his Peace Corps band of brothers and sisters were there to help people help themselves. Sarge was an idealist, a man of boundless heart, and a hard-headed businessman who from the ground up built a government program—and he was never afraid to call it just that because he disdained anti-government stereotypes—that has become an enduring force for American purpose and compassion, vastly popular at home and around the globe. I once encountered him in a corner of Africa, his suit jacket off but his tie in place, working with Peace Corps volunteers as they dug a well. Sarge’s gift, his magic then and always, was not what he could do, however important, but what he could inspire others to do—which he saw as the most important challenge of all. With President Kennedy, he was the new face of America that made the country once again a shining light to people everywhere yearning for a decent life. I watched him take up the same cause here at home after I had gone to the Senate when he agreed to command the war on poverty. It’s fashionable now to see the Great Society as over-reaching and underperforming. But millions were lifted out of poverty—and if the job was unfinished, it was because a different war, in Vietnam, drained the resources that could have made the difference from Mississippi to simmering urban ghettos around the nation. Sarge was never given the tools to finish the job, but he never gave up or gave in. In 1972, there was no one I admired more in public life. At the Democratic National Convention in Miami, I was about to select him as the vice-presidential nominee when I was told he was on business in Moscow. I should have moved ahead anyway—Sarge would have led the world press on a merry chase as he flew across Europe and the Atlantic toward a mounting national audience for a belated acceptance speech. The day after an election in which we had lost 49 states, Shriver embraced me and, although I don’t remember his exact words, told me that at least we hadn’t lost our souls. He gave one anyway a month later, with a campaign in crisis after the choice I made instead of Sarge—Missouri’s Tom Eagleton—had to resign from the ticket. Sarge was now ready to enlist in what others saw as a hopeless endeavor—and it was. In the weeks that followed, he spoke the truth eloquently about Vietnam, Watergate, and economic fairness. One of his rare attributes was his ability to hold deep concern about human needs while displaying good cheer and boundless optimism to those around him. Sarge was a happy warrior, there to greet and stand with me when the campaign plane landed in Washington the day after an election in which we had lost 49 states. He embraced me and, although I don’t remember his exact words, told me that at least we hadn’t lost our souls. Sarge saved many souls, in many ways, during his life. With his beloved wife Eunice, herself a magnificent force of nature, he led the Special Olympics and together they forever freed millions from the dark prison of a prejudice that labeled the intellectually disabled and sentenced them to a less-than-human existence. As time passes, many who will never know their names will owe their dignity and place in life to Sarge and Eunice. He was deeply religious and went to mass every day. But this was never just about his own faith, or what would happen after this life, but very much about a mission of caring and love for others in our time here on earth. His time had its high achievements, its disappointments, and the joys of a daughter and sons he treasured and taught to ask always how they too could make a contribution. Sarge was one of those to whom the torch was passed on Inauguration Day 50 years ago this week. Indeed that moment might never have come had he not persuaded John Kennedy, in a crucial hour of the 1960 campaign when Martin Luther King, Jr. was incarcerated in a rural Georgia jail, to reach out to Mrs. King. The gesture risked losing the South; instead, it won black votes around the country—and turned the tide of an election on the edge. So he did—and I’m honored to share a part of that life with him. 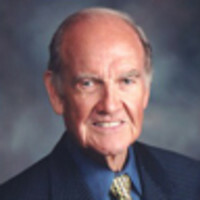 George McGovern was the Democratic nominee for president in 1972. He has also served South Dakota as a U.S. representative and senator.